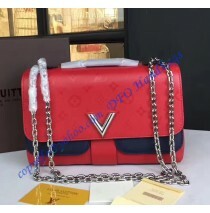 Louis Vuitton Very Bag is a new model with a combination of the classic and modern design, all in one. You can have it in different versions. Available ones are Very Tote, Very Top Handle and Very Chain. This actually may be a difficult task for you, being forced to choose the version you like the most. All three models are made from Cuir Ecume and Cuir Plume, so we won’t say that the quality and the durability are outstanding. The chain, however, is made from lightweight metal, so it is durable but it won’t make wearing the bag harder. Inside you will be able to use 2 pockets, while on the outside you have two larger compartments, hidden with the flap. In addition, flap mechanism is based on the magnetic system, which is actually very durable and pleasant to use. The leather feels silky and it looks transparent. Touching the bag makes you feel special, which you are because you are the owner of the LV bag. 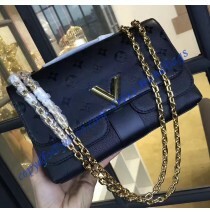 Carrying the bag can be done over the shoulder or cross-body, using the same chain, but with adjustment obviously. 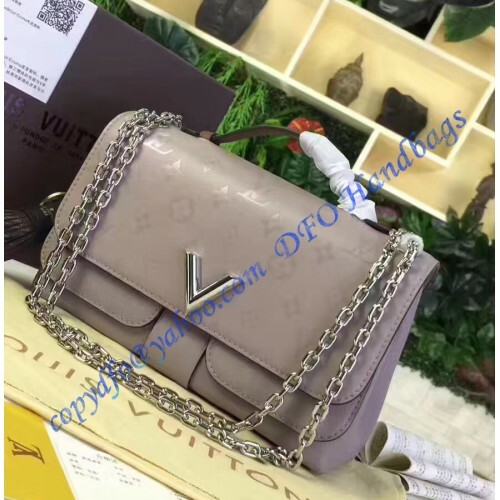 Handcrafted V signature is a completely new addition that must be mentioned as well.